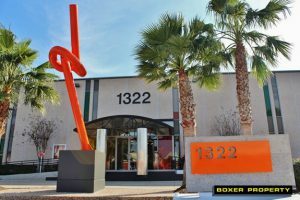 December 12, 2017 (HOUSTON, TX) – Boxer Property, a Houston-based commercial real estate firm, is pleased to announce it has concluded lease renewal and expansion negotiations with Preferred Engineering L.P., an engineering and design firm providing service to the petrochemical industry. Having been a valued tenant of the property since 2006, the engineering and design firm has expanded their office space bringing their total size to 15,391 square feet at 1322 Space Park Dr in Clear Lake, TX. Bethany Dena, Leasing Representative, represented Boxer Property during negotiations and dealt directly with Preferred Engineering to complete the deal. Located in the Clear Lake area of Houston, TX, 1322 Space Park Dr features 123,089 square feet of office space for lease. Amenities include internet ready suites, ample parking, 24-hour secure key card access, conference rooms, and on-site maintenance and management services. The property is also pet friendly with a dog park located on-site. Preferred Engineering L.P. is a full service engineering and design firm based in Houston, TX. The company is dedicated to delivering quality results for projects using practical, efficient technology for the petro-chemical industry. For more information visit Preferred-Engineering.com.